Hill Climb 0.78 of a mile (1.25km) - Weaponness Lane, Olivers Mount, YO11 2UG. START in Weaponness Lane, Oliver's Mount, Scarborough at yellow paint mark near green loudspeaker power point/post, 0.2 miles (320m) before hairpin bend on the corner of Olivers Mount Road. Continue northwards to the top of this lane to bear left for approx. 0.25 miles (400m) on Jacksons Lane to FINISH in line with the end of the wooden fencing on the right-hand side at the end of the central grass field and where there is a track on the right into the trees. 0.78 miles total distance/1.25km. This is a "Come and Try It" event and great fun for both younger competitors and adults alike. Parking, competitors and spectators will be directed towards the field at the top of Jackson's Lane. Registration will be located in the top middle field area. The course is a little longer for 2019 to bring the finish in line with the main central area and sound system but uses flatter terrain at the top and is suitable for all ages. 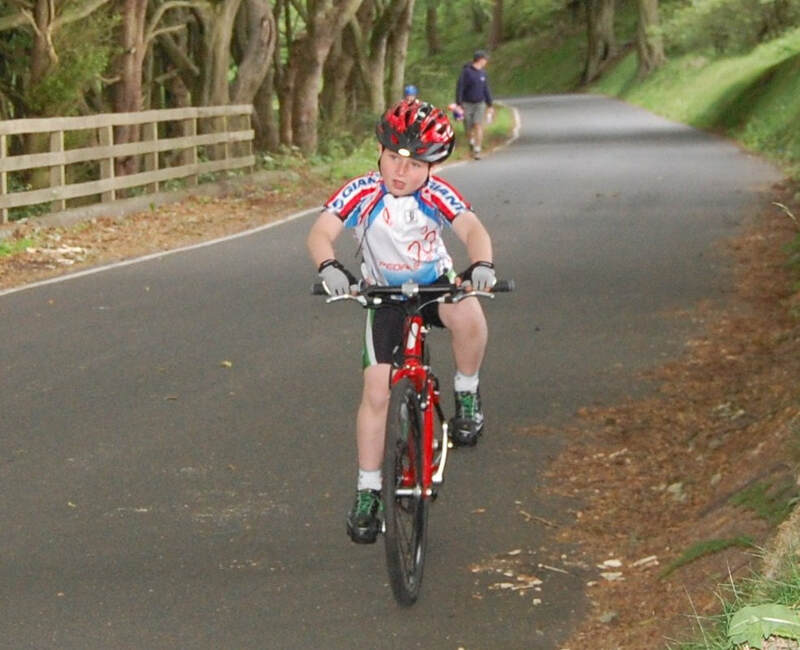 It will be held under the rules and regulations of the Cycling Time Trials, which means that riders (under the age of 18) MUST wear hard shell helmets and a PARENTAL CONSENT form must be completed prior to riding (available at registration BUT EVEN BETTER IF YOU PRINT IT OUT AND BRING IT ALONG - FILE ATTACHED BELOW).